As a gamer that twice abandoned handheld gaming for Console and PC, my love for the portability aspect of the Nintendo Switch is not something most would expect. Now that I’ve experienced Zelda and Mario Kart 8 on the go, there’s really no going back. The Nintendo Switch’s convenience is a great bonus, but where it really shines is by giving players more time to play. How much of a typical day is taken up by bouts of waiting? Waiting for work to get started. Waiting between classes. Waiting for a break to end. Waiting on public transportation. Waiting in a traffic jam (don’t play while driving), Waiting for your food to finish cooking or arrive. Waiting on a court to free up at the rec center. Waiting on your cardio work to be over. Waiting for a friend to get to the bar. Waiting in a long line for anything. It varies from person to person, but waiting is something we all do in almost every single day of our lives. The Nintendo Switch reclaims that time for gaming, and it has an ideal library for just such a task. Five minutes is all a gamer needs to enjoy a race in Mario Kart 8 Deluxe or FAST RMX. Upcoming match-based multiplayer games ARMS and Splatoon 2 fit that five minute window as well. 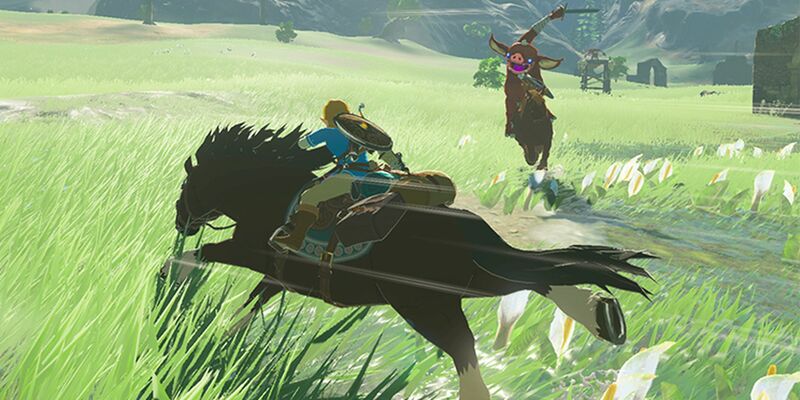 Thanks to the speedy sleep and resume function, even Breath of the Wild sees some benefit, as the free time time can be used to cook food and potions for your later adventures, or to chip away at simple tasks like farming and treasure hunting. Through five minutes here, fifteen minutes there, so on and so forth, Nintendo Switch turns spare minutes into hours worth of entertainment that would have been impossible with a standard console. Breath of the Wild features the most interactive open world in gaming history, and you can take it anywhere thanks to the Nintendo Switch. Was that possible with a handheld before? Yes, but it was more expensive, and handheld games just don’t compare, often being mechanically dumbed-down versions of what a console game should be. Put Mario Kart 7 next to Mario Kart 8 Deluxe, or A Link Between Worlds next to Breath of the Wild, and it’s obvious to all that previous handhelds have been outclassed in quality and scale by the Nintendo Switch. Not only that, but it can allow two people to go head-to-head or co-op by splitting the joy-cons. The Nintendo Switch really is in a league of its own. On top of its ability to weave spare minutes into hours of play time, the Nintendo Switch is an inviting console experience too. I can’t count the number of time’s I’ve put off firing up my PS4 because I was expecting some sort of distraction that would take me out of the zone. That’s not a problem with the Nintendo Switch, I can quickly swap the console to handheld mode and go wherever, or sleep and resume if needed. Simply put, the Nintendo Switch’s portability offers gamers more time to indulge in gaming, by taking advantage of opportunities they didn’t even know they had. The PSP 2000/3000 changed the game many years ago. Thank you very much. 87 million units sold says Sony made the right move. The PSP did great, but it was still just a handheld that played handheld games.